It’s Day 4! This week, we have teamed up with NVIDIA to bring our readers the “Week of Holiday Tegra” event. They have been extremely generous with the holiday gifts, so make sure to check out the Tegra Zone, where you can find the best mobile games available for Android. Yesterday, we gave away a Transformer Pad Infinity tablet, matching lapdock, and a Logitech controller for an ultimate mobile gaming experience. We even decided to announce our winner on The Droid Life Show, which was a nice change of pace. Today, we have two Acer A110 tablets, coupled with two $25 AMEX gift cards. Ready to get your Tegra on? Update: We have our two winners! Cheers to David and Eric! Check back tomorrow for your last chance to get in on the Tegra goodness! 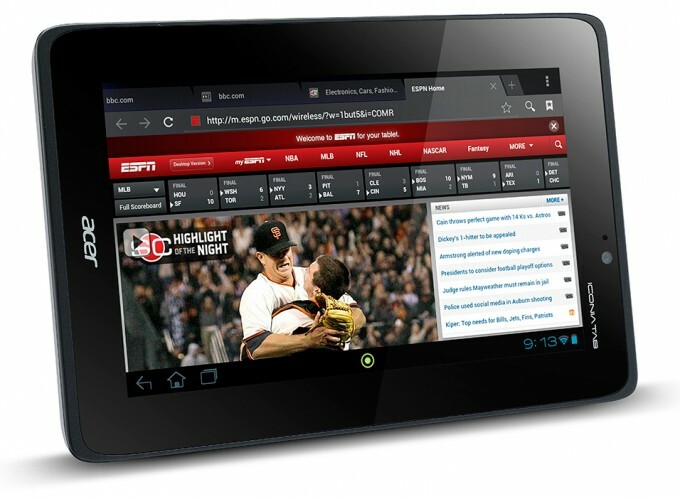 Prize: 2 (two) Acer A110 tablets and 2 (two) $25 AMEX Gift Cards. 3. In the comments, tell us a story of how your Android device got you out of a tough situation. Today, at 4PM PST, we’ll randomly choose a winner from the comments.